Dublin mightn’t be the first place you think of when someone says ‘water park’ (well, if you don’t mean the kind of water that pours down from the sky) but believe it or not, it’s happening! 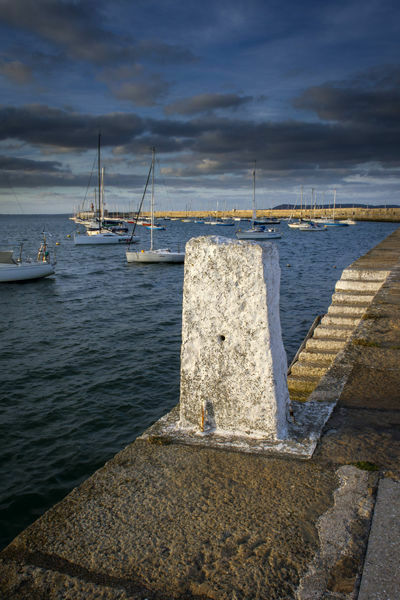 Dun Laoghaire harbour in Dublin is set to be the home for a new inflatable water park this summer, and we couldn’t be more excited. “Harbour Splash” will be open to the public this week, on Saturday, 7 July, and will be running until the end of September. Although Ireland and water parks possibly aren’t the likeliest of combos, we’re definitely not going to say no to a brand new, fun, playground – in the water! The park will have adventurous activities such as a massive over-the-water obstacle course (including trampolines, climbing frames, slides, and monkey bars), climbing frames, barges and more. The company behind the plans is called Big Splash Water Parks, and they’re the same people who are behind Surfdock in Dublin’s Grand Canal. The team just got the thumbs up to bring the floating obstacles to Coal Harbour, and if the weather continues to outdo itself like it has been recently – this might be Dublin’s number one activity this summer. “There have been various plans for the harbour, but the beauty of an inflatable aqua park is that you can get it up and operational very quickly,” said Colin Harris, Director of Big Splash Water Parks. One-hour sessions are priced at €18 for children under 18, and €22 for adults. Discounts are available for groups of 15 or more. Book your fun-filled family adventure online at Harbour Splash.